Images are a big proportion of the data that browsers load when displaying a website, so better image compression goes a long way towards displaying content faster. Over the last few years there has been debate on whether a new image format is needed over the ubiquitous JPEG to provide better image data compression. We published a study last year which compares JPEG with a number of more recent image formats, including WebP. Since then, we have expanded and updated that study. We did not find that WebP or any other royalty-free format we tested offers sufficient improvements over JPEG to justify the high maintenance cost of adding a new image format to the Web. 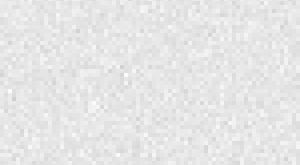 As an alternative we recently started an effort to improve the state of the art of JPEG encoders. Our research team released version 2.0 of this enhanced JPEG encoder, mozjpeg today. mozjpeg reduces the size of both baseline and progressive JPEGs by 5% on average, with many images showing significantly larger reductions. Facebook announced today that they are testing mozjpeg 2.0 to improve the compression of images on facebook.com. It has also donated $60,000 to contribute to the ongoing development of the technology, including the next iteration, mozjpeg 3.0.
mozjpeg improves image encoding while maintaining full backwards compatibility with existing JPEG decoders. This is very significant because any browser can immediately benefit from these improvements without having to adopt new image formats, such as WebP. The JPEG format continues to evolve along with the Web, and mozjpeg 2.0 will make it easier than ever for users to enjoy those images. Check out the Mozilla Research blog post for all the details.